Airline continues multi-billion dollar investment in the customer experience. Delta will begin selling Delta Comfort+ on CRJ-200 aircraft beginning April 1 for flights scheduled on May 1 and beyond. 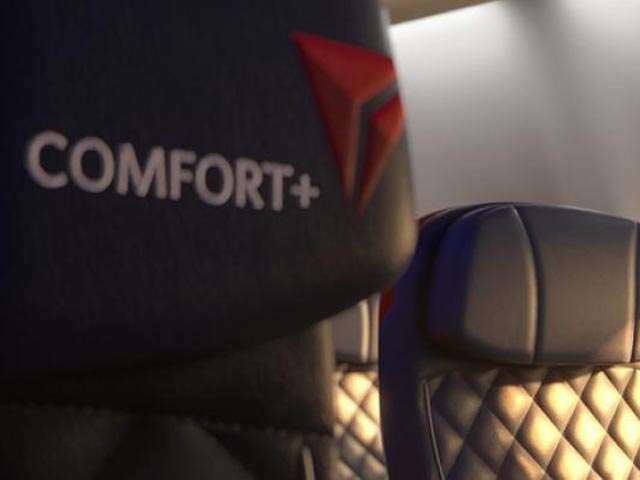 As part of Delta’s focus on improving choice for customers and enhancing the on-board customer experience, the airline will now offer Delta Comfort+ on nearly all single-cabin Delta Connection aircraft, in addition to its two-cabin aircraft. In March 2015, Delta introduced Delta Comfort+ as the airline’s industry-leading extra legroom product experience that offers Sky Priority boarding with dedicated overhead bin space and complimentary premium beverages, and snacks on flights over 250 miles. This latest enhancement is part of the airline’s multi-billion dollar investment in the customer experience that includes a cabin modernization program featuring new seats, seatback entertainment systems with free entertainment, high-capacity overhead bins, access to Wi-Fi on nearly all flights, complimentary meals in the Main Cabin on select flights, upgraded free Main Cabin snacks, chef-curated meals in Delta One, a seasonal wine program and more. Delta has also made significant investments in the customer experience on the ground, in addition to plans to add nearly 250 new aircraft to its fleet in coming years. These include new Delta Sky Club locations in Denver, Atlanta and Seattle; Club renovations in Nashville, Dallas, Newark and Minneapolis-St. Paul; airport enhancement programs in Atlanta, Los Angeles, New York and Salt Lake City; and the testing and implementation of an enhanced boarding process in Atlanta.